Courtney Martin. Winnie Gier Photo. As the new director at the Yale Center of British Art, Courtney J. Martin already knows the museum's doors are open. Now she's thinking about new ways to invite the public in—and pull a new message from an existing collection. Martin shared that vision Wednesday evening, hours after the YCBA announced her appointment in a press release. Currently the director and the chief curator of the Dia Art Foundation in New York, she will begin the position on July 1. She follows Amy Meyers, who joined the Center in 2002 and oversaw its massive renovation in 2016. "I think there are so many conversations that need to be started, and conversations that need to be continued," Martin said in a phone call Wednesday. "What exactly is being shown and what is in there in the collection?" Martin began her studies in art history as an undergraduate at Oberlin College in 1992, where she was able to blend museology and the history of art with studio practice, a requirement that many art history programs have since cut. In an interview Wednesday, she said that those early years of practice helped her contextualize the artists she was studying, often by getting a firsthand sense of the materials with which they were working. She also recalled seeing—and being profoundly moved by—Professor Kellie Jones' 1995 exhibition US / UK Photography Exchange, so much so that she later followed Jones to Yale as a graduate student. 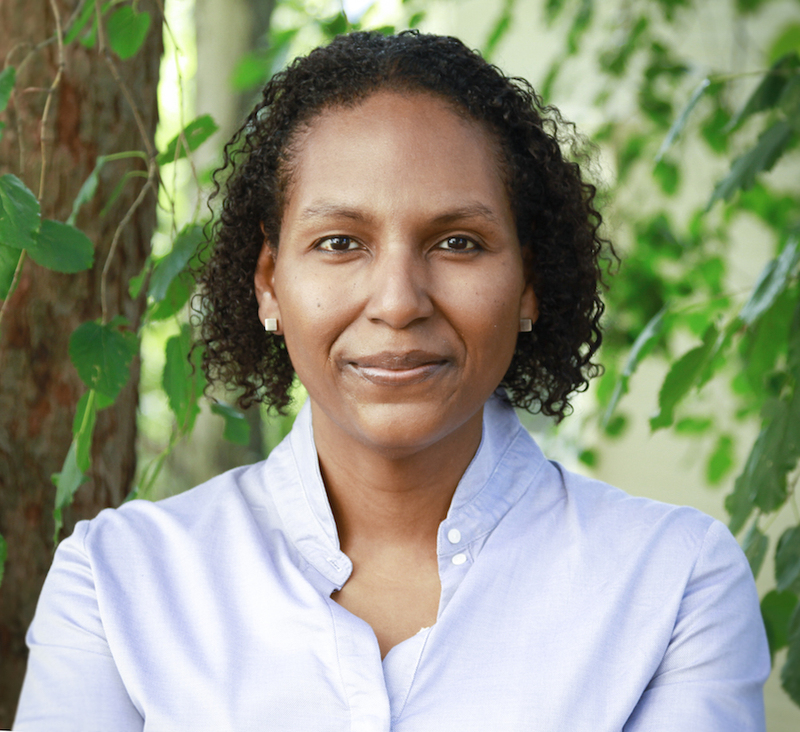 During her college years, Martin also took classes in Oberlin's Women's Studies program, which she said gave her an interdisciplinary lens through which to approach her academic work. Before coming to New Haven, Martin joined the Ford Foundation in New York City, where she served in the arts, culture and media division. During her tenure there, the foundation funded the groundbreaking work of Okwui Enwezor, who curated documenta 11 in 2002 in Kassel, Germany. She praised the late curator, who she described as "not only curating but showing the way art could be." In some ways, she added, her work at the Ford Foundation was also an entry point into understanding "how information reaches people," an approach she later brought to her graduate studies and curatorial work. In addition to its international reach, the foundation supported arts initiatives in schools and "justice and journalism" projects, including radio for remote communities that had few other ways of communicating with the outside world. She said that she's since taken that experience with her into museums, where people may walk in with no reference point—or a very personal reference point—for the collection. In the early 2000s Martin began her graduate studies at Yale, studying under Jones and Professor Tim Barringer. While her main focus was late British modernism, she took a wide-ranging approach to the field, taking every course she could fit in. She praised the resources available to her as a student, emphasizing the role that object-based teaching played both in the classroom and outside of it. In addition to her work as a research fellow for the center's 2007 Art and Emancipation in Jamaica, she published in the Yale University Art Gallery Bulletin and curated a show from the Yale library's Arts of the Book Collection. "I loved that at every turn, there was an opportunity for me," she said. The Center, in particular, became a special place for her as she took classes from British Empire to William Morris within its walls. When Martin left Yale in 2009, she taught at Vanderbilt and then Brown University, then was appointed adjunct curator at the Dia Foundation in 2015. In 2016 she curated a show of artist Robert Ryman's work at Dia: Chelsea; a year later she was appointed chief curator and director. In that time, she has also written extensively on Rasheed Areen, as well as artists Rina Banerjee, Frank Bowling, Asger Jorn, Wangechi Mutu, Yinka Shonibare and others. Now, she plans to use her knowledge of Britain's long history and of the Center's collection to tell a new story with existing material. While Martin's field of study is technically "Late Modernism"—her dissertation explored British artists in the 1960s and 1970s—she said that the collection "reflects my own interest," which is wide ranging and goes centuries back. In particular, she said she is interested in mining the collection for works that her predecessors haven't put on display. "There are many different nations and many different kinds of material," she said, adding that the first thing she's planning to do is "reacquaint myself with the collection." She said she is also interested in doing more on the building itself—which she considers perhaps the collection's greatest asset. She finds the history rich and multi-layered: a final commission from American architect Louis Kahn, working with American philanthropist Paul Mellon, who was collecting art from another country that spanned centuries of colonialism and diaspora. "I think there’s a kind of global conversation that needs to happen and I’m excited," she said. She added that she hopes to open the Center not just to those who already use it, but those who do not, particularly those who may feel unwelcome in the space. She listed Yale students, international audiences, tourists and New Haveners among the groups she wants to see visiting the Center and exploring its exhibitions. She suggested that the Center has already made "not just the first step but the most major step" in making itself free. "I do think that in general, museums that are public institutions are for everyone," she said. "You can come in. You can hang up your coat. You can just start looking." "Sometimes people just have to make the first step, and we have to invite people to make that step," she added.